If you’re going to game on a monster machine, then you need a monitor that will bring out the best in your beast. That being said, there are plenty of monitors to go around, and it can be quite hard to choose the right one. Usually, you’d go for a huge flat screen, but you might want to request a rain check on that one. Maybe it’s time you try something else. 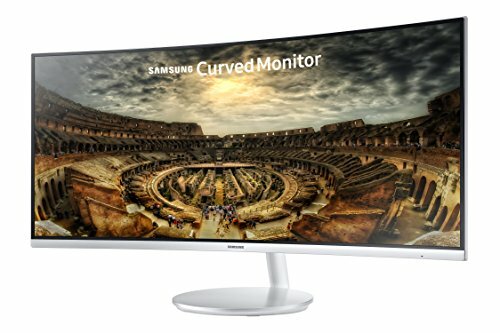 Maybe it’s time to check out a few curved monitors. 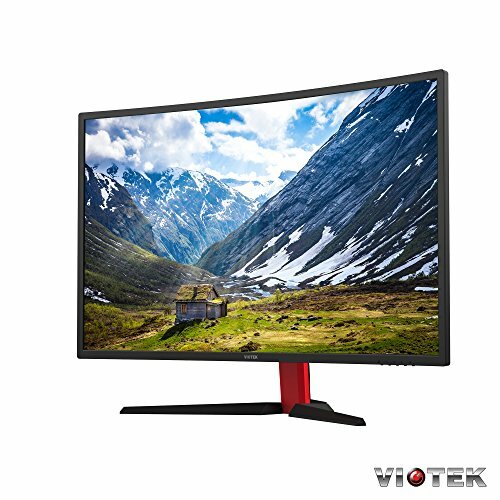 In this article, you will find just that – a list of the ten best curved gaming monitors you can find on the market today. 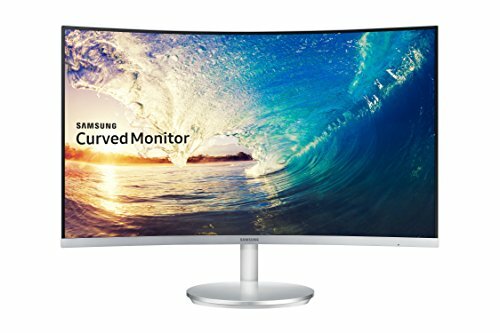 So, why should you buy a curved monitor? When you look around and start researching, you’ll often find that people tend to criticize them. 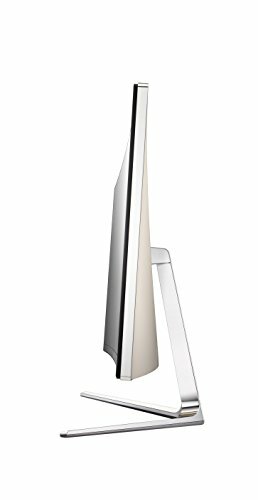 There are plenty of curved TVs out there, and people they aren’t any more immersive than a flat screen while narrowing the viewing angle. 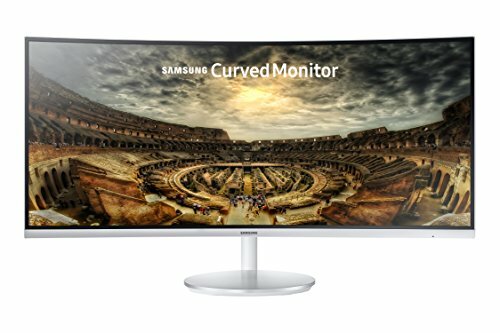 If that’s so, doesn’t it mean that the curved monitors share the same cons? Well, yes and no. 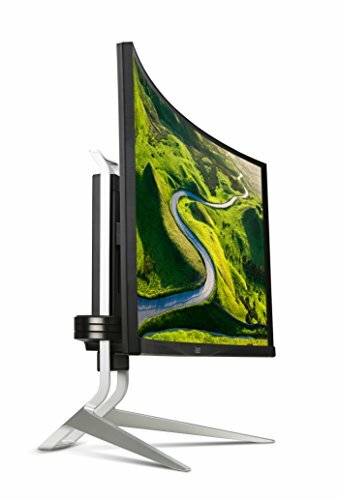 Indeed, curved monitors, like curved TVs, have a much narrower viewing angle. 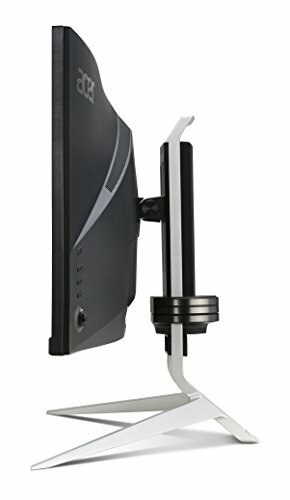 However, since a PC is, for the most part, a device meant to be used by a single person, you’ll realize that such monitors actually facilitate this kind of use. And this is made even more apparent when gaming is concerned. 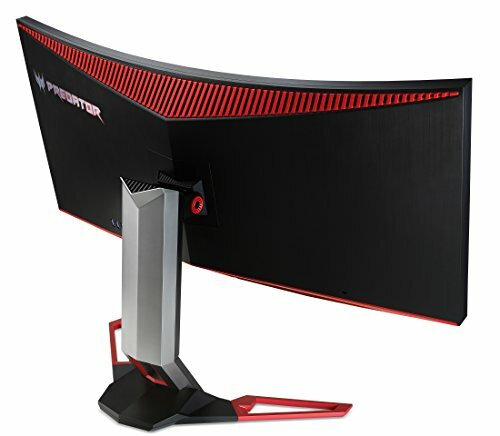 One of the biggest things nowadays is to use multiple monitors when gaming. This is considered not only the pinnacle of efficiency and experience, but it’s something to brag about. However, having more monitors doesn’t appeal to some gamers. Some people simply don’t prefer the breaks between the monitors, and some focus only on the middle one (if you’re using three) and feel like their attention is spread thin. 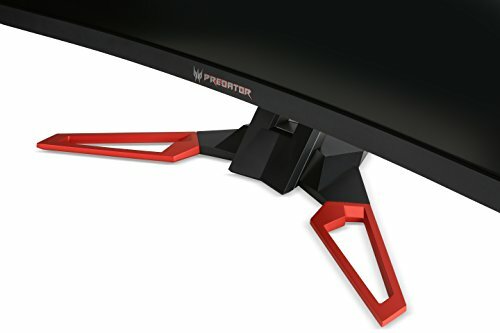 The shape of the monitor will complement FPS games perfectly, as it will give a more true-to-life experience. 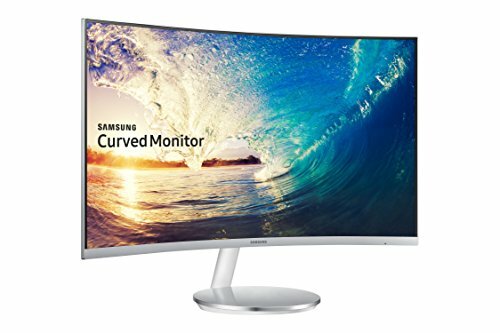 To counter these inconveniences, we suggest those gamers pick a curved monitor. 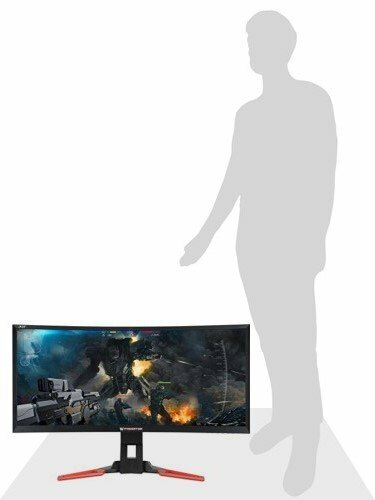 The shape of the monitor will complement FPS games perfectly, as it will give a more true-to-life experience. Many such games cram too much visual information in a flat screen, but a curved monitor spreads that information well and allows for better viewing experience. If you’re a fan of RTS games, you’ll again find that the curvature of the monitor will give you a great overview of what’s going on the screen. 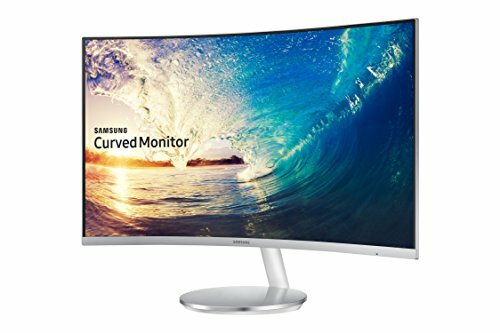 Well, now that we’ve answered that question, it’s time to move on to our best curved monitors. 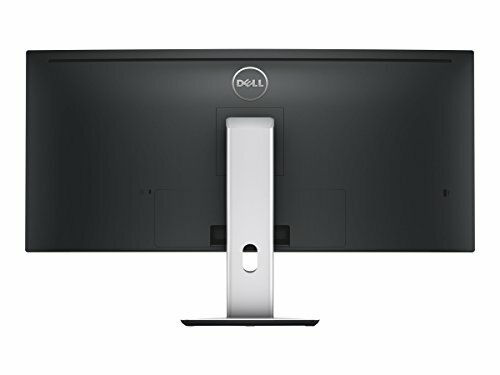 Of course, you couldn’t possibly imagine a list of monitors without having a Dell product on it. 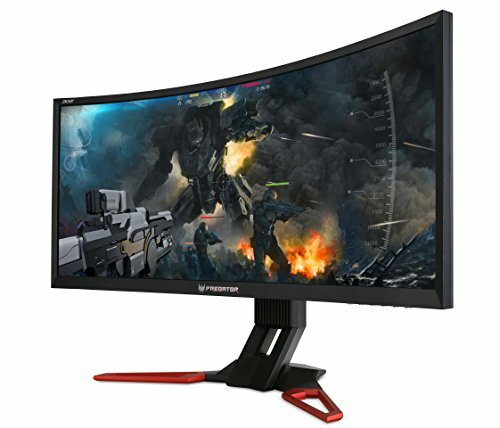 Their UltraSharp U341W is one of the best curved gaming monitors around, and for good reason. 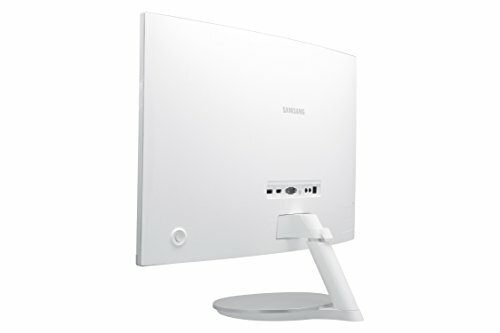 Firstly, this is not so expensive monitor as it may appear. 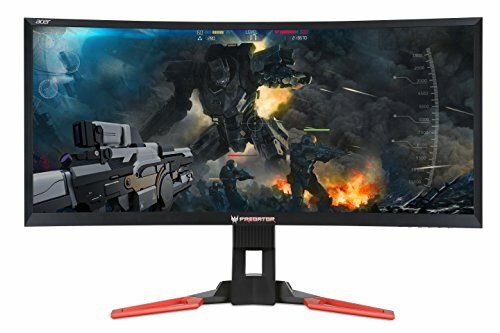 This monitor costs somewhere around $650, which is more than a decent price for such a piece of technology, considering some really high-end machines cost more than double that. 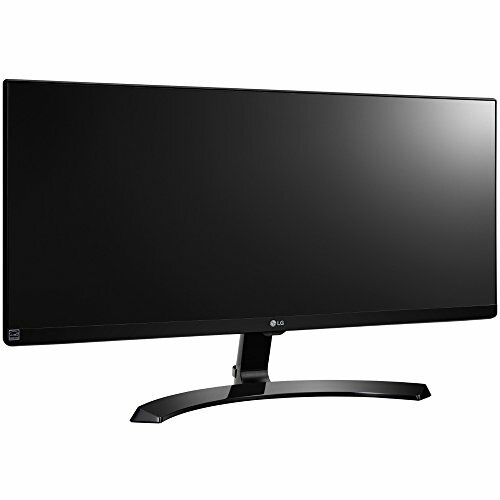 With that being said, you would expect that the monitor has some lower quality features than more expensive models, but it is not so. 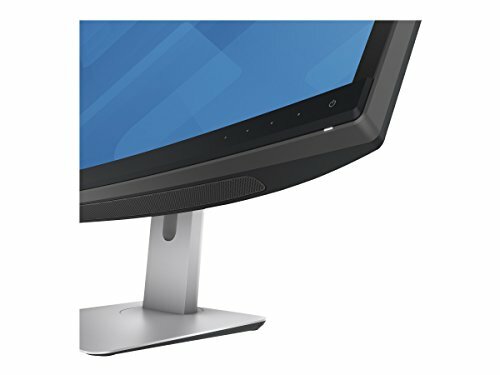 Dell made a great effort not to skimp too much on quality to deliver a cheaper product. 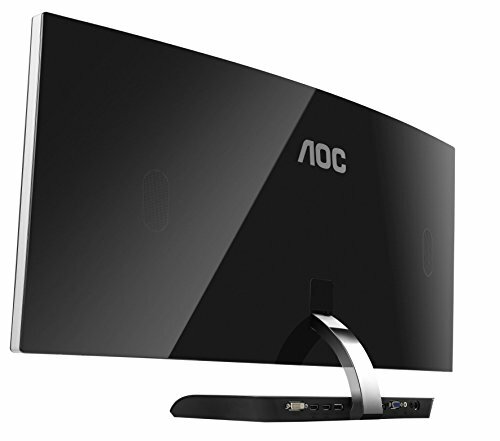 This monitor features 34 inches of curved screen, with a 21:9 aspect ratio. 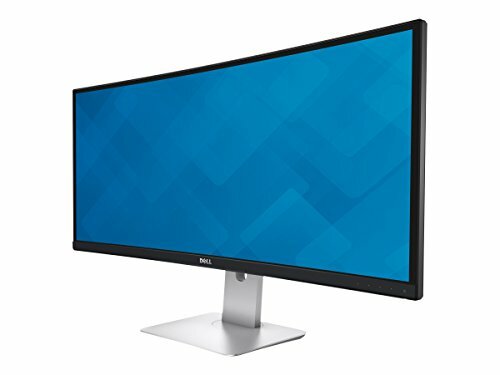 However, it should be noted that this monitor carries a WQHD tag, meaning it is only Quad HD and not Ultra HD, so you’re looking at 2560×1440 pixels. 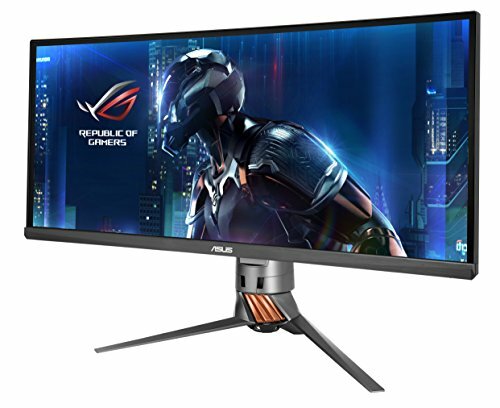 Again, this is a sub-$800 monitor, so you shouldn’t expect UHD, but, if you aren’t a video quality snob, this monitor should serve you more than well enough. 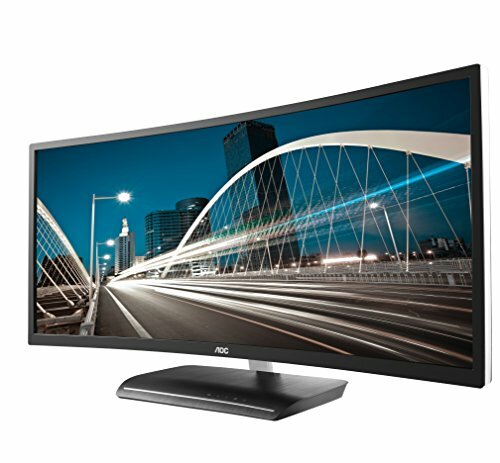 This monitor also has some useful features like Picture by Picture and Picture in Picture. This is greatly useful for people who handle more than one application at a time, as it gives better viewing options. It also comes with 1 HDMI port (2 is optimal), 2 upstream and 4 downstream USB ports, and a USB 3.0 Hi-Speed Hub. It comes with a 3-year Limited Warranty as well as a 3-year Advanced Exchange Service. 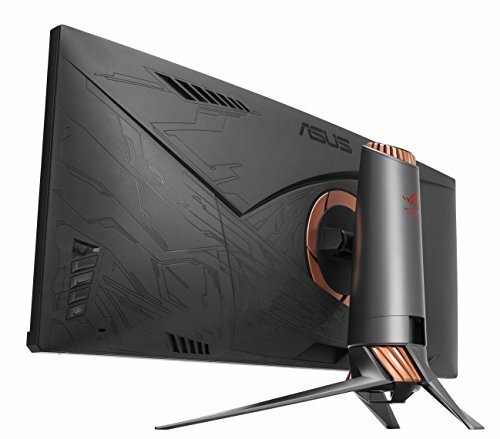 The Dell’s all well and good, but if you’re looking for an ultra-high-end monitor for a maximum gaming experience, then you should definitively go for Asus’ ROG PG348Q. This is monitor is among the best of the best, the cream of the crop. 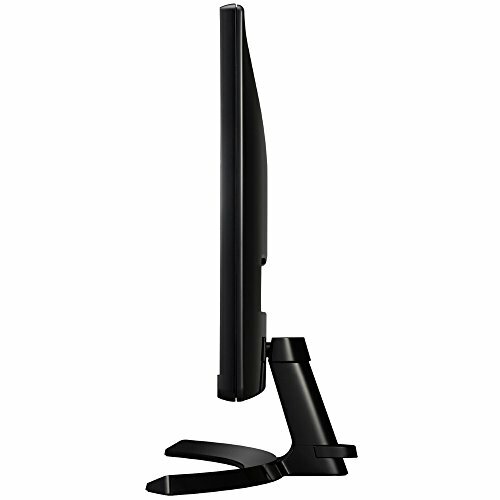 This monitor stands 34 inches across and uses UHD resolution (3440×1440). 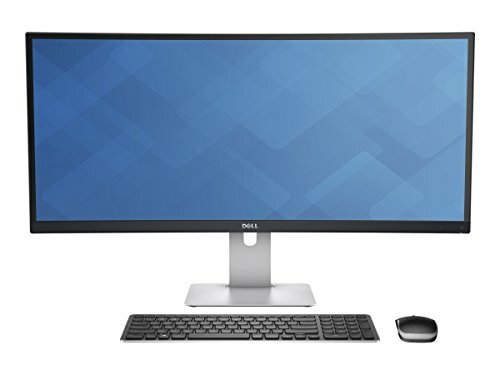 That being said, this monitor costs almost twice the Dell (around $1,200). So, what warrants such a high price? 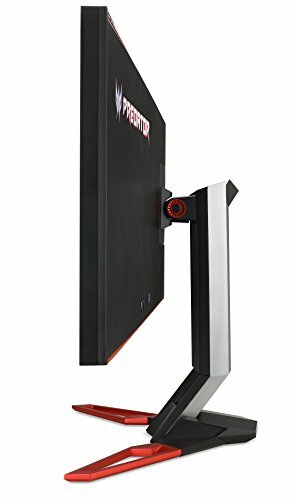 Well, this is a dedicated gaming monitor. It has a few stellar features that cater to games and gaming. 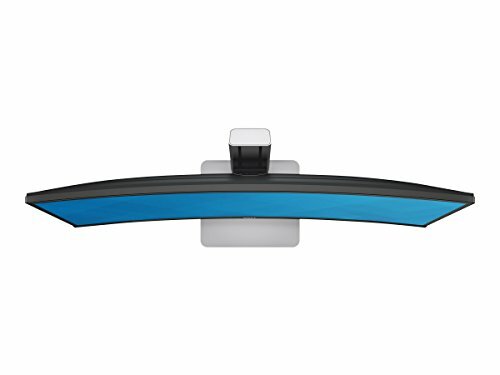 One is the Eye Care technology that tones down blue light and flickering in order to put less strain on your eyes. The monitor can also summon a crosshair onto the screen, so you can use your sniper without a scope. It has a timer and an FPS counter too, along with a refresh rate of 100Hz. NVIDIA G-Sync technology keeps the lag low and viewing experience smooth. On top of that, the monitor has been optimized to be used in a multi-monitor setup, if you feel like showing off. 100Hz refresh rate (adjustable on the fly). Eye Care technology makes extensive gaming not as strenuous. 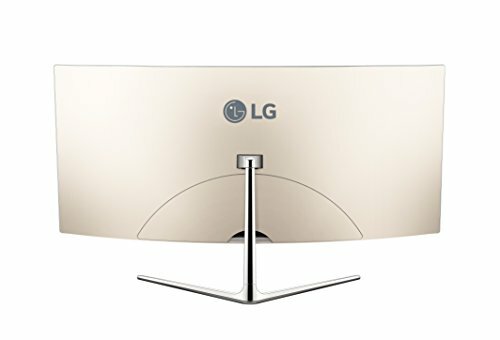 Coming in at number three on our best curved gaming monitors list is a dedicated Apple monitor, the LG Electronics 34UC97-S. This is a very fine addition to your Mac, and it will bring out all its good sides. 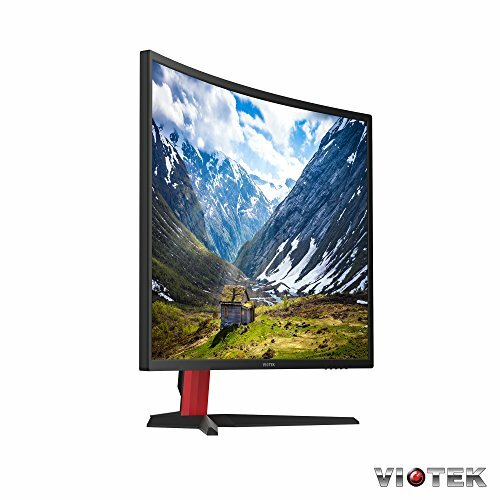 It has great color depth, excellent resolutions and a wide screen for ultimate viewing pleasure. 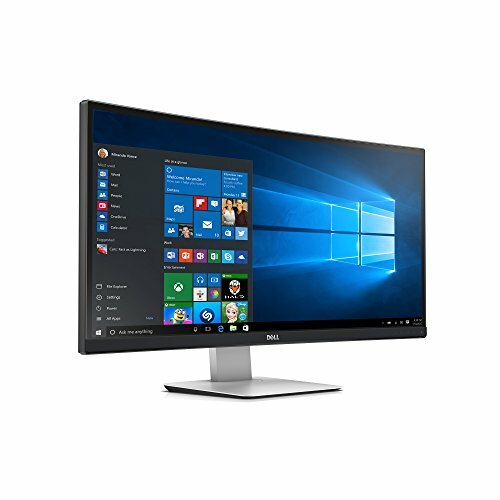 Like Dell, this device provides QHD quality in 21:9 aspect ratio, although the actual quality is slightly higher. 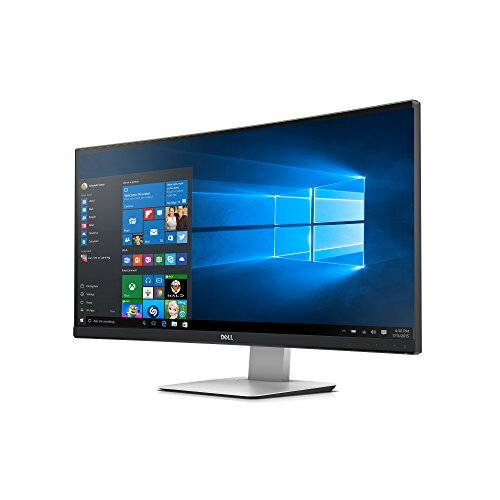 It is slightly smaller than Dell, however – 32 inches. However, it costs about twice as much as the Dell. However, its greatest strength lies in its color depth, as we’ve already mentioned. Its sRGB covers 99% of color space. With such wide coverage, it delivers very vivid and rich visuals every time you turn your computer on. This coverage is also very useful for graphic designers or videographers – pretty much any kind of visual digital artist. On top of that, it’s fitted with 7w speakers with excellent bass and clear highs that can rival even the best stereo equipment. 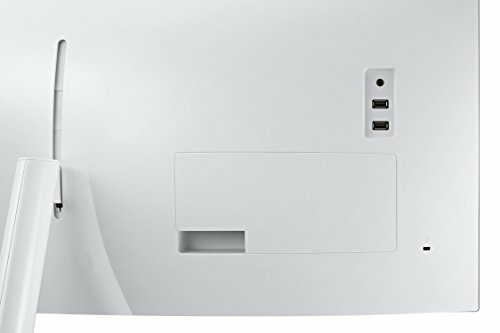 It features 2 HDMI ports, a display port, 2 USB ports, and a Thunderbolt 2 port. Exceptional color coverage and depth. 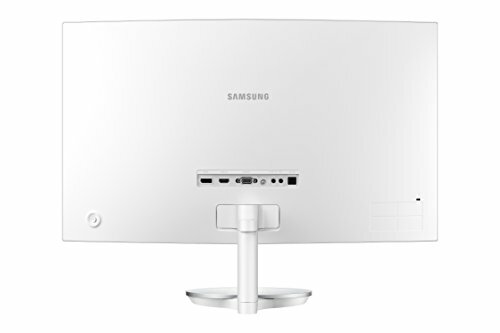 Features a Thunderbolt 2 port. Perfect for use by digital graphic artists. The item is very expensive ($1,300). You will experience some light bleed at the corners. 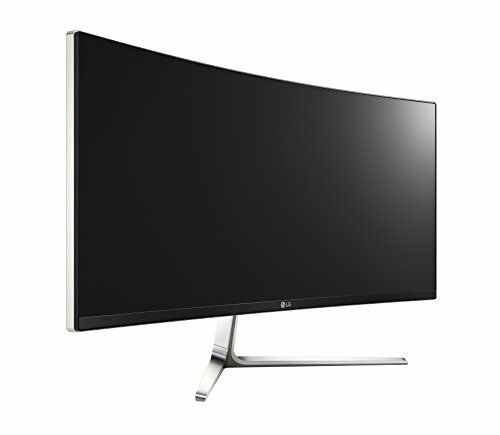 Fourth up is yet another high-end product, and one of the best curved monitors currently on the market. 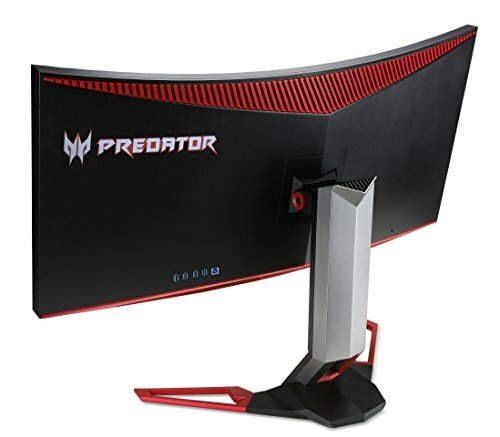 The Acer Predator Z35 is the bomb when it comes to curved gaming monitor, and it is hard to beat it when it comes to sheer performance and value for the money. 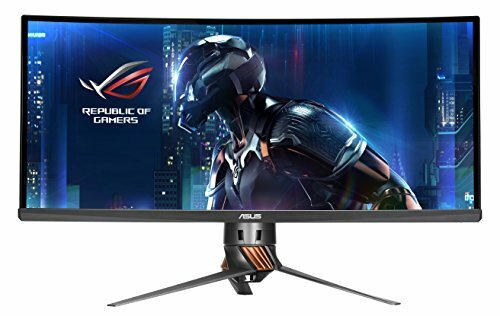 This monitor costs about $1.100 dollars, which is a hundred bucks less than the all-powerful Asus, but delivers similar video quality. 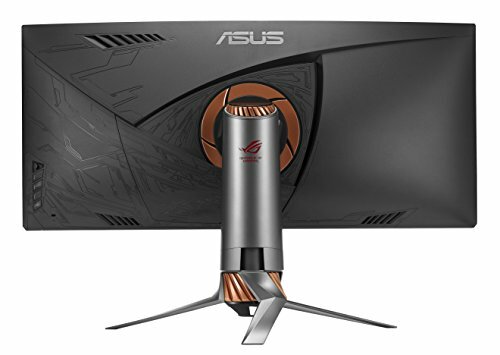 So, like the Asus, this monitor is QHD (3440×1440) rated with a 21:9 aspect ratio. The refresh rate is similar and rated to 100Hz. Being optimized for gaming, the monitor has very fast response times and doesn’t lag at all thanks to the G-Sync. It also has two 9w speakers, better than what LG has, so you don’t even need a woofer if you don’t want one. On top of that, the game features Ultra Low Monitor Blur technology, so the action is always clear on screen. 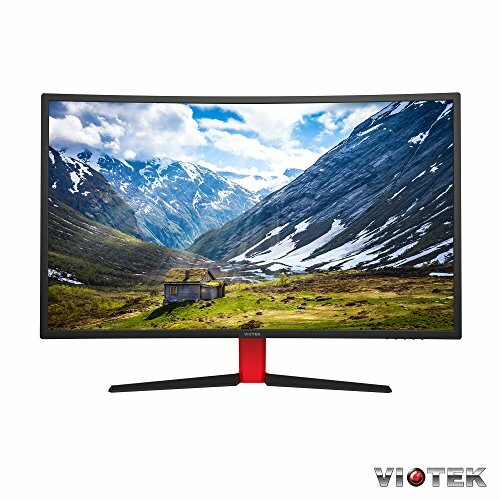 The monitor has almost 100% sRGB coverage, so you can be sure the colors will be lively and in tune with the game you’re playing, in order to bring out the true beauty of its design. Anti-blur technology and low lag allow for a fast-paced and clean gaming experience. 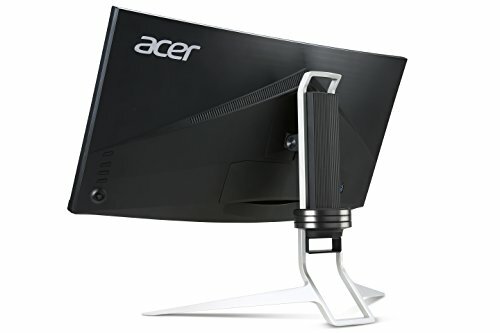 A slightly more expensive monitor. Has only one HDMI port. 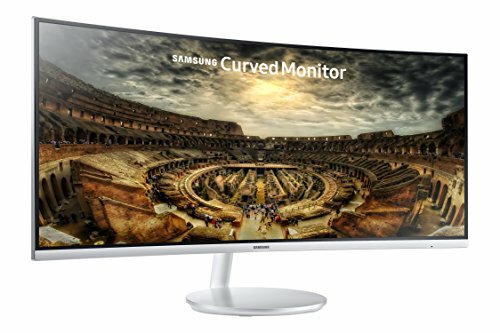 Naturally, if we’re going to make a best curved monitor list, we can’t leave without including at least one Samsung product (and we’ll have two). 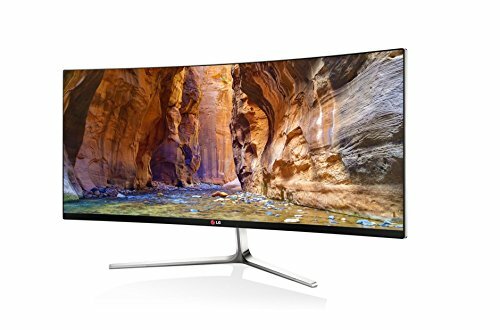 One of the best devices on our list is certainly Samsung’s CF791 34-inch monitor. It's got an amazing aspect ratio, excellent color depth, and great resolution. 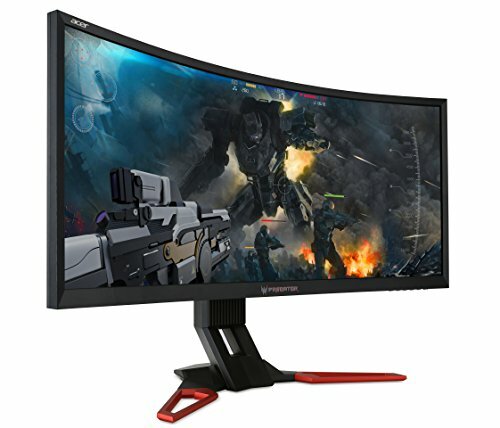 A gaming monitor just as much as a designer’s monitor, the CF791 is a great device to have. 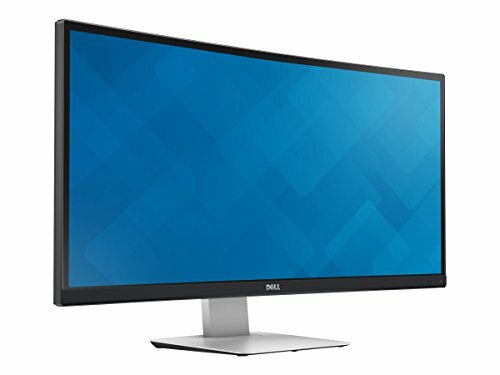 It is QHD rated, like all of our monitors, but with a 3440×1440 resolution, as opposed to Dell’s 2560×1440. 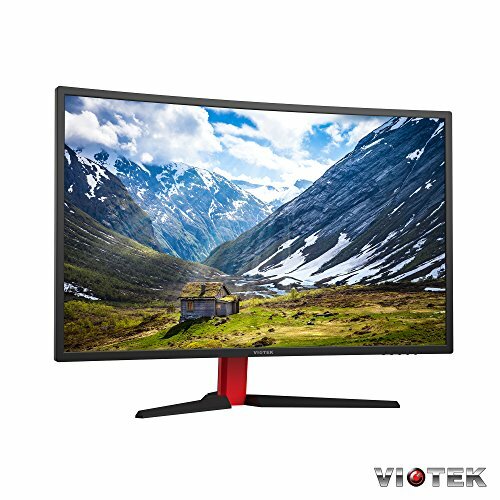 Not only that, but this monitor features a 3000:1 contrast ratio, allowing for great color depth, again reinforcing our claim about it being a designer’s monitor. With respect to gaming, Samsung CF791 has great response times and low lag thanks to NVIDIA’s G-Sync technology. 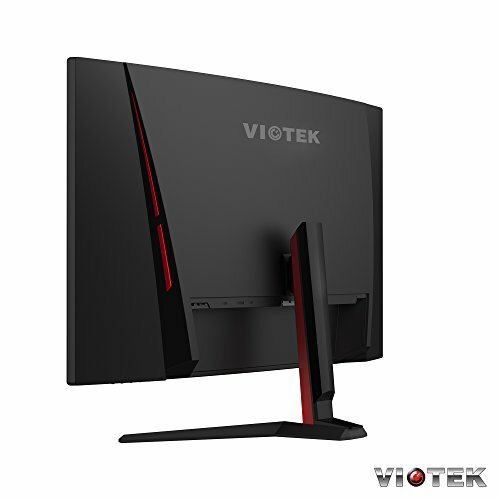 Its 100Hz refresh rate makes it an even better choice gaming, and its 7w speakers serve well to deliver great sound in case you don’t have woofers at the moment. 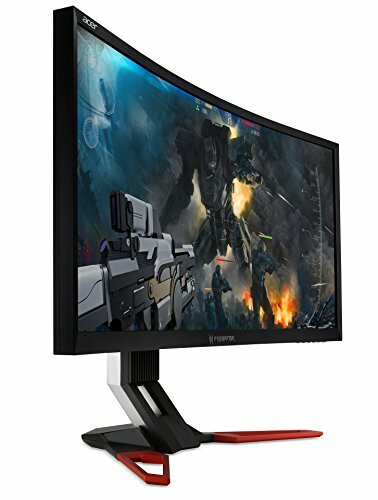 Another great about CF791 is that it has 2 HDMI ports, making it one of the best curved gaming monitors for consoles. 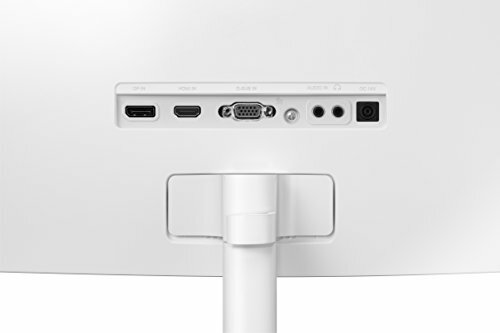 Note that both of our high-end dedicated monitors have only one HDMI port. CF791 also costs about $800, which is a great price considering how well the device performs. Nominal price considering the monitor’s performance. Low lag and high refresh rate. Superb contrast ratio allows for outstanding color depth. There is some backlight bleed. The device can sometimes develop a dead pixel. 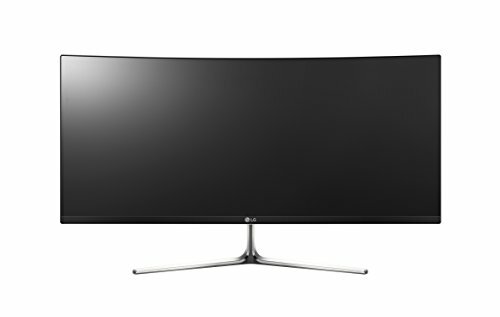 Though curved monitors belong to a more expensive group of monitors, it is not impossible to find a more accessible model and still get nice performance out of it. 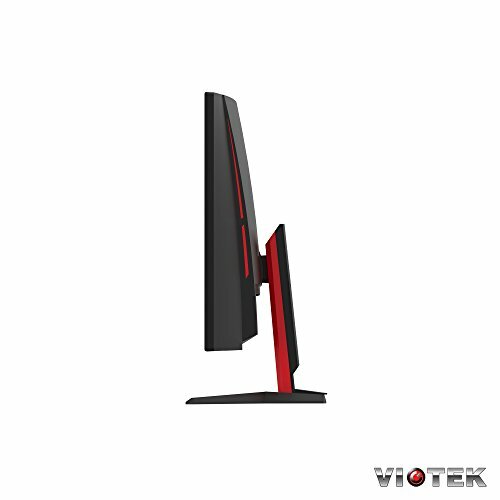 One example is the Viotek GN32C. With a price tag right around $350, it is the cheapest device on our list. 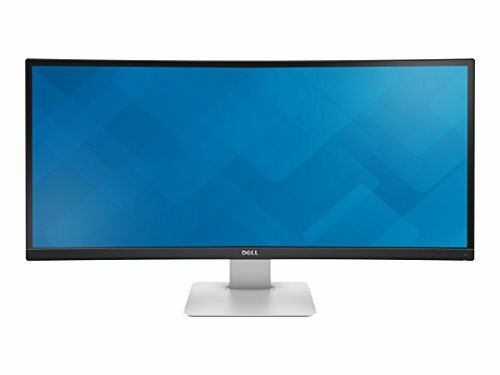 The first thing you need to remember about this monitor is that you get what you pay for. That being said, the device is still decent. 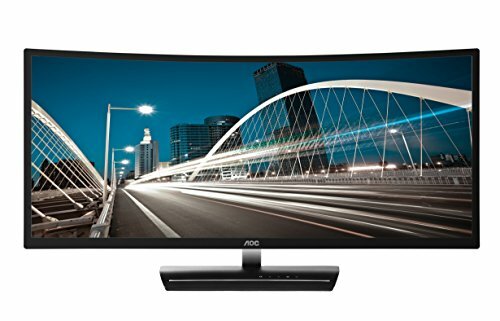 This monitor falls into Quality HD group, with a 1920X1080 resolution. 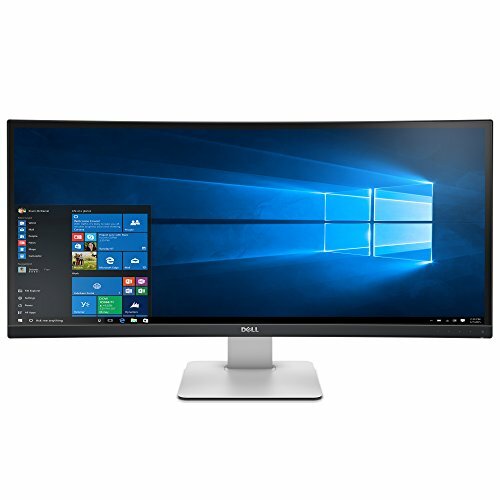 It may be as powerful as the other models, but for somebody who’s spent all their money on a computer and is now looking for a more affordable device, this is the one. 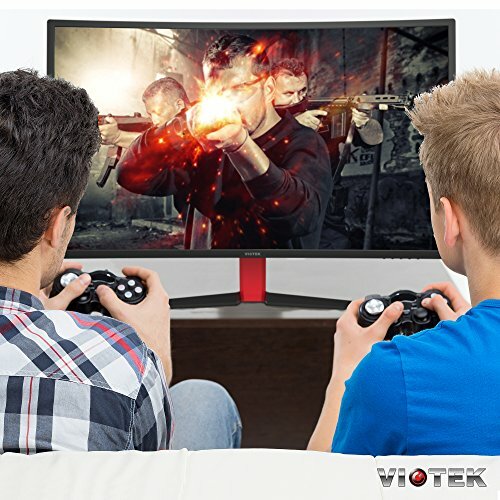 The Viotek GNC32C is a dedicated gaming monitor, despite its relatively low price. 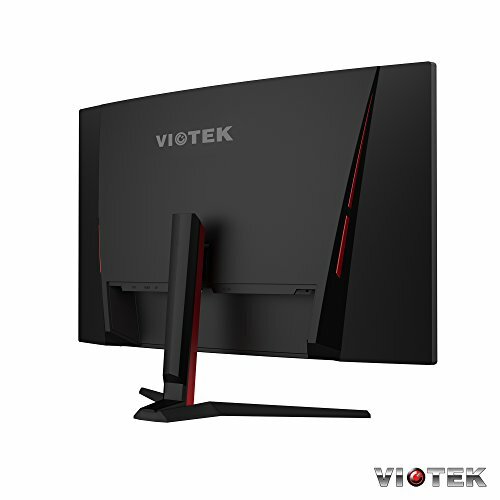 Viotek features a 144Hz refresh rate, which is higher than even the high-end members of our list. It also sports the AMD’s FreeSync technology (G-Sync’s AMD counterpart), allowing for virtually zero lag when you’re playing. The device is optimized for FPS and strategy games. In addition, it features blue light reduction technology that allows prolonged use without putting too much strain on the user’s eyes. 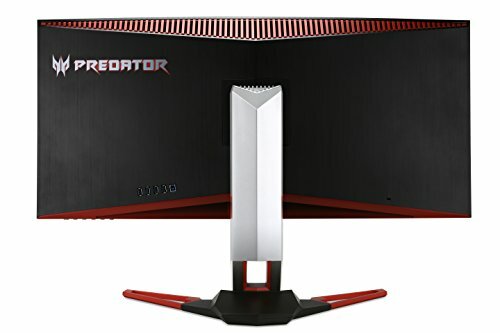 A very affordable gaming monitor. Low lag thanks to G-Sync. Blue light reduction to facilitate prolonged use. Low resolution compared to other devices. Can develop a dead pixel after some time. Some older games won’t look as good. 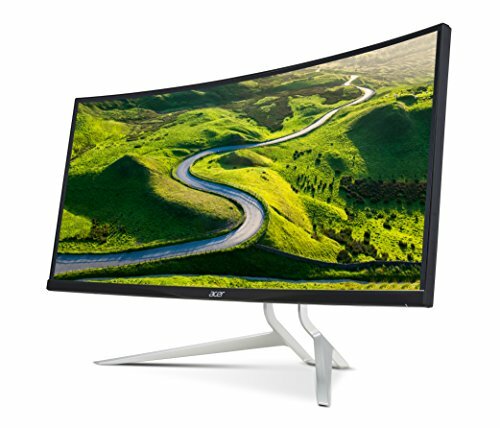 From low-end back to high end best curved gaming monitors, we arrive at another Acer entry. The XR382CQK costs $1,200 item, but it’s worth every penny. As far as picture quality goes, this is the most impressive model we have. Not only that, but it’s the biggest too. 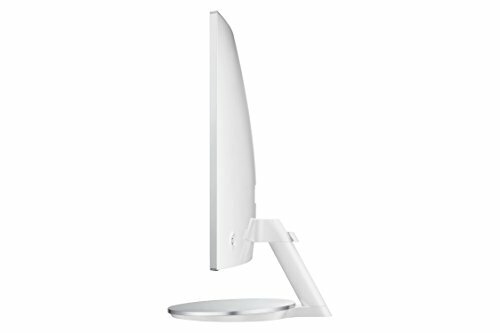 This monitor stands at 37.5 inches across and is a UHD rated monitor (3840×1600). 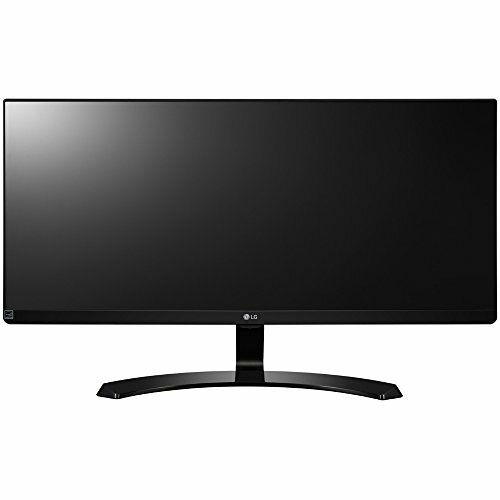 The monitor features FreeSync technology from AMD in order to keep motion blur and lag at a minimum. The monitor includes EyeProtect technology so that the player can look at the screen for a prolonged time without getting too tired. 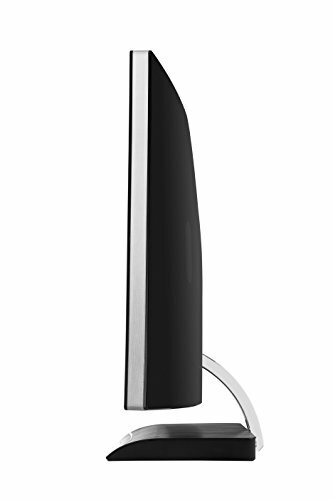 It includes 7w speakers for a surround sound-like experience. Another great feature is the Picture in Picture function that allows for effective multitasking. Unfortunately, this device doesn’t have a very high refresh rate. At 75Hz, it is well below what you’d expect to get in a 1,200-dollar monitor. This also slows the monitor’s response time to 5ms, whereas other high-end monitors we’ve covered are about a millisecond faster. Excellent color depth and richness. EyeProtect technology allows for prolonged viewing. With only three products left on our list, we arrive at a particularly good one. 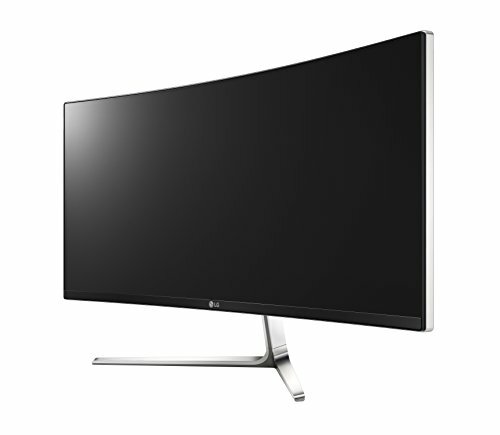 The LG 38UC99 is one of the best curved gaming monitors on the market. 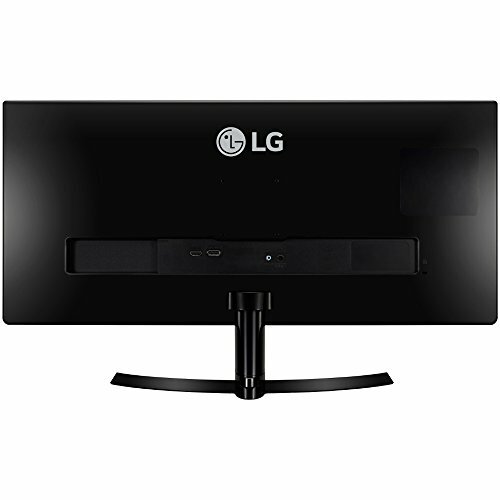 This LG comes at a hefty price though, and you’ll have to dish out a sum of about $1.500 to become its owner. 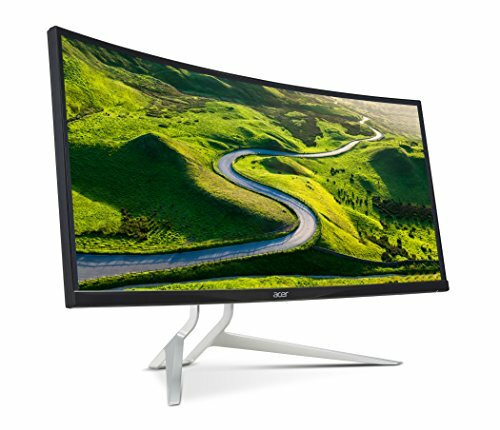 Just like previous Acer model, this LG monitor sports QHD picture. At 3840 x 1600 pixels and with sRBG over 99%, the number, vividness, and richness of colors are unmatched. All of the monitor’s parameters are adjustable, and you even have split screen function to help you with your multitasking. When it comes to gaming, you pretty much can’t ask for a better piece. 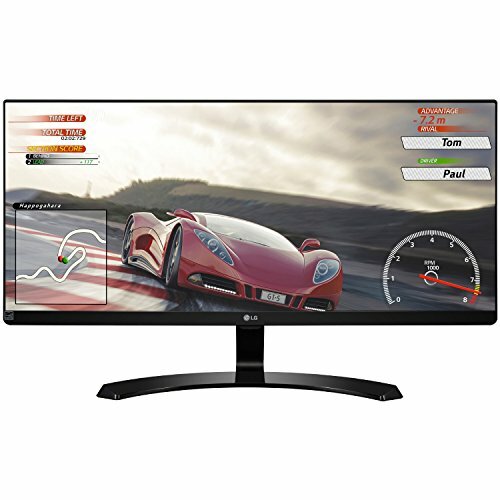 Not only does this monitor have FreeSync, but its response time is so low, thanks to motion blur reduction, you won’t ever want another. 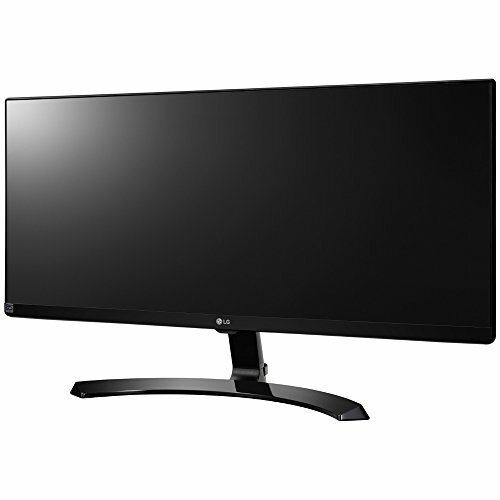 This monitor has an amazing response time of 1ms, which is three milliseconds faster than the fastest monitors on our list. In addition, it features excellent Bluetooth speakers that, while can’t replace your standards gaming subwoofers, then certainly stand in as a replacement until you buy them. Exceptional color depth and diversity. Superb video quality – excellent resolution and aspect ratio. 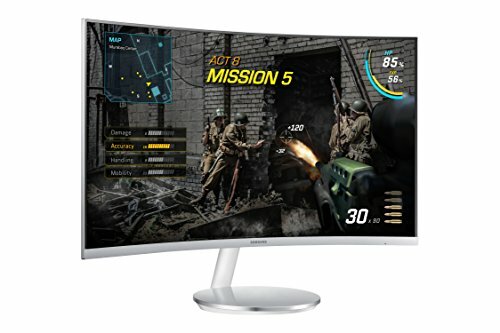 FreeSync and anti-motion blur reduce response time to 1ms. Highest-costing item on our list ($1.500+). 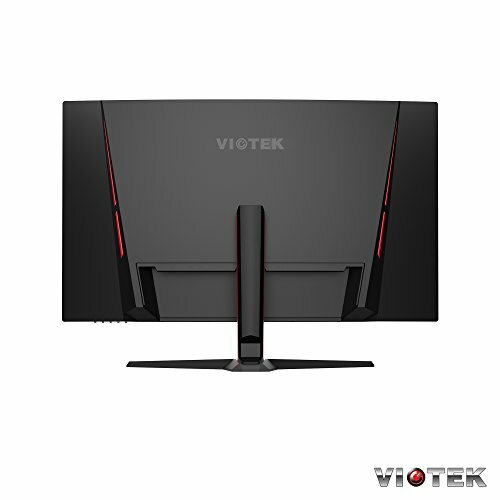 To give you a break from all these super-high prices, our last two monitors are budget ones. 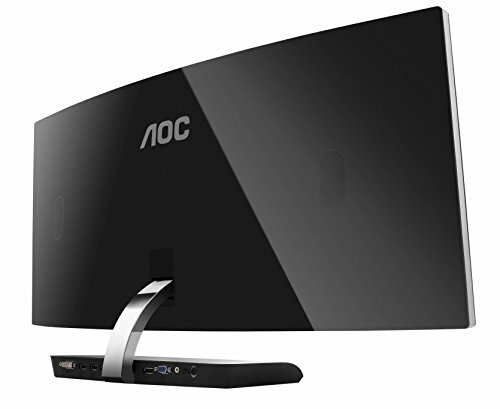 Our first item is the AOC C3583FQ. 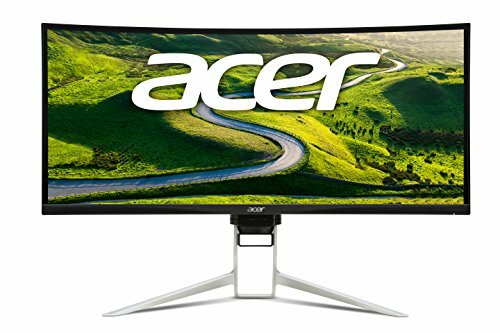 This monitor will cost you “mere” $550 but will bring plenty of quality with it. 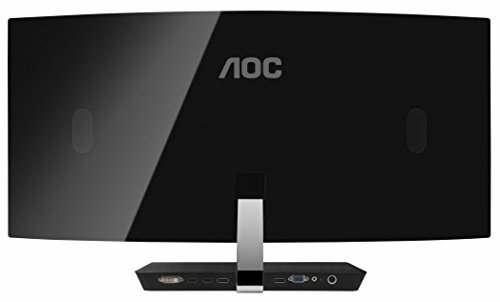 AOC may not be the best monitor out there, but for those looking for a lower-end product that will “do alright”, this is the one to pick. 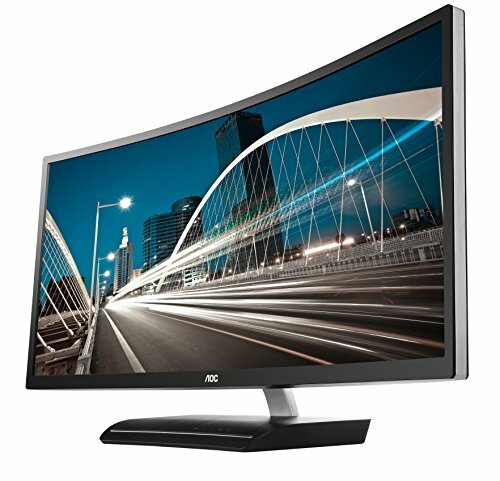 So, what should you expect AOC C3583FQ? 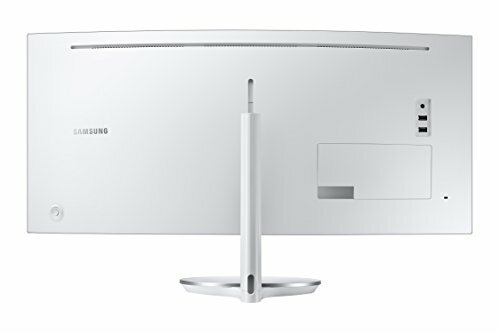 For starters, this is a lower-end 2k device, with resolution of 2560×1080 with a 21:9 aspect ratio, a standard for these devices. 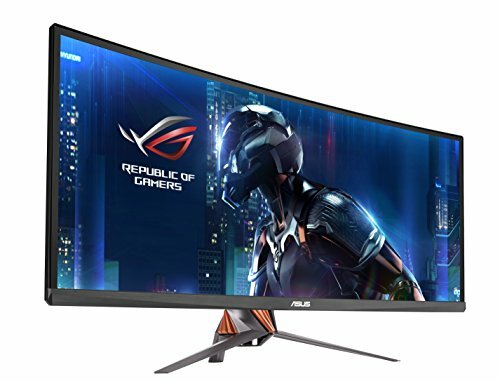 It stands at 35’’ across, which give you plenty of screen space, but may cause some games to look washed out because of the stretching of the pixels over such a large screen. 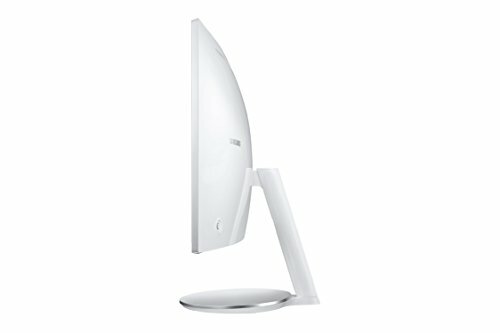 One of the best things about this monitor, however, is its dynamic contrast. At 50.000.000:1, it can give the colors incredible depth and vivaciousness. 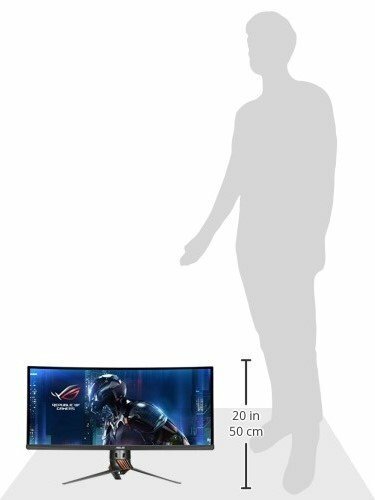 It also has an incredible refresh rate of 160Hz. This, combined with the FreeSync technology and the motion blur reduction, allows a response time equal to high-end devices – just 4ms. 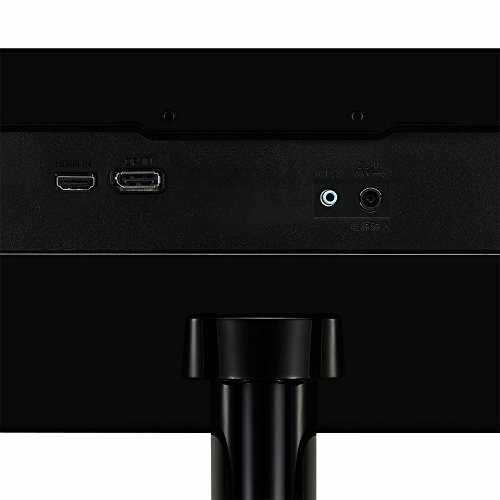 This device has two HDMI ports, whereas many high-end devices have one, and features a slightly worse, twin 5w speakers. Lower end speakers than on more expensive devices. Colors can look washed out due to stretching, despite the dynamic contrast. Our last product for today comes from Samsung. Samsung CF591 is one of the cheapest products we have on our list, carrying a price tag of only $300. The device doesn’t perform accordingly to its price, but its overall performance is still relatively good. Like we said, this is a lower end product. With that, you mustn’t expect too big of a resolution. As the title suggests, this is an FHD product, with its resolution being under 2000 pixels. 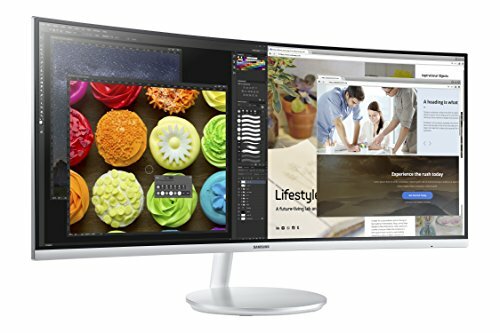 Luckily, this monitor is not too big – 27 inches across provides a small enough space for the pixels to evenly distribute so that the colors don’t look washed out. Like all devices we’ve written about, this device features FreeSync technology that makes the gameplay experience as smooth as ever. On top of that, the motion blur reduction further reduces latency, so the monitor has a reaction time of mere 4ms. The device also has Eye Saver mode that allows the players to stare at the screen for prolonged periods of time without their eyes feeling tired. This is achieved, as usual, by reducing blue light and reducing screen flickering. Solid color depth and range. FreeSync and motion blur reduction put the reaction time at 4ms. Eye-saver mode allows for prolonged viewing. FHD picture quality as compared to QHD and UHD of other products. And there you have it, the 10 best curved gaming monitors. Our list comprises of the best devices on the market, both high-end and low-end. However, there’s plenty of fish in the sea, and there are many models to choose from, and much to learn about them. 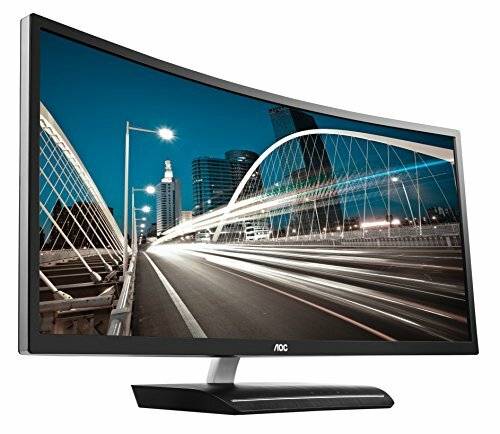 For example, you might be interested in thin bezel monitors, another hot category.